Welcome, friends! I am thrilled to have you here. 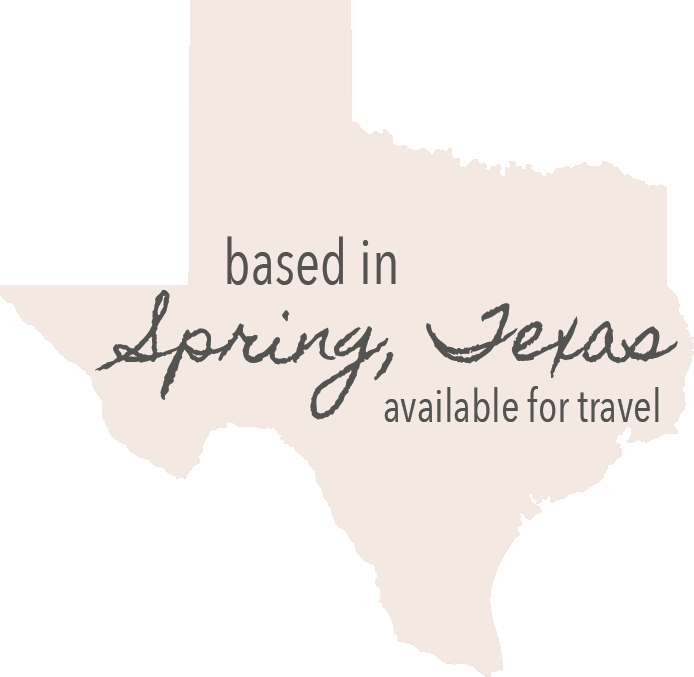 I am based in Spring, Texas, and specialize in wedding and lifestyle portraits. I graduated from the Washington DC School of Photography and have been in business since 2009. I have a boutique business model to help you have heirloom-quality artwork to display in your home.